In this packet you will find both the Pre-Primer and Primer Dolch Words. 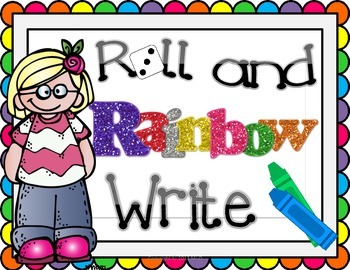 Students will enjoy this "Roll and Rainbow Write" activity while practicing proper letter formation and spelling of their sight words. 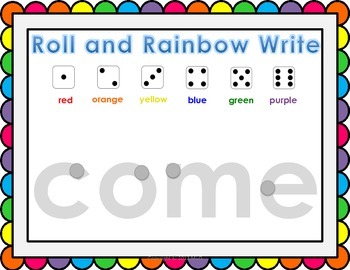 Students will roll the die and rainbow write the word using the color crayon that corresponds with the number. 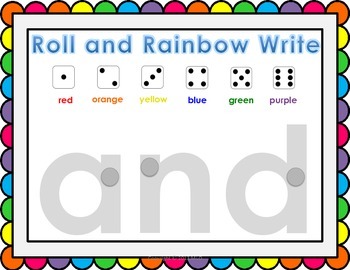 Great activity to put in your literacy center!